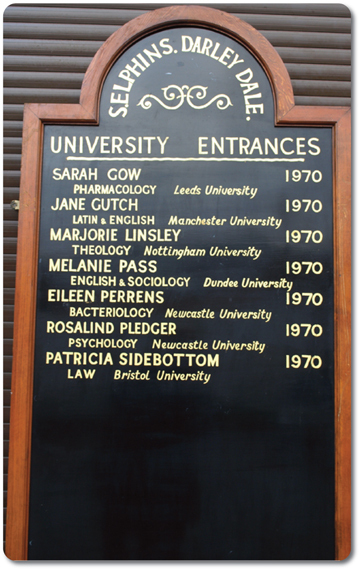 Many girls will remember the Scholarship Boards which were proudly hung on the wall going up the stairs from Front Hall. The following Boards are held in safe-keeping at St Elphin’s Park and were kindly made available for viewing by Alison Davies on 15th January, 2011. (Photos: Liz Donlan). They show Scholarships awarded from 1900 to 1970 inclusive. The boards were also on show for reunions held at St Elphin's Park in 2012 and 2015.